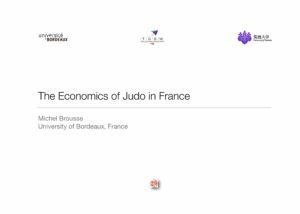 « The Economics of French Judo », Tsukuba Global Science Week 2015, Tsukuba, 30 septembre 2015. 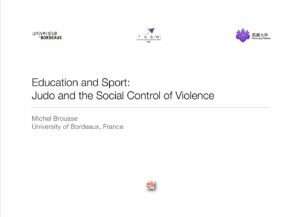 « Education and Sport : Judo and the social control of violence », Tsukuba Global Science Week 2015, Tsukuba, 28 septembre 2015. « Dangerous Judo or Dangerous Coaching », Solidarity of International Judo Education, Tokyo, 6 décembre 2013. 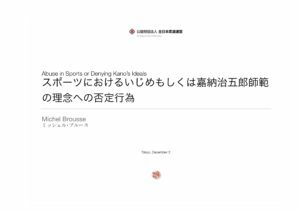 « Abuse in Sports or Denying Kano’s Ideals », University of Tsukuba, Tsukuba, All Japan Judo Federation, Tokyo, 2-5 décembre 2013.